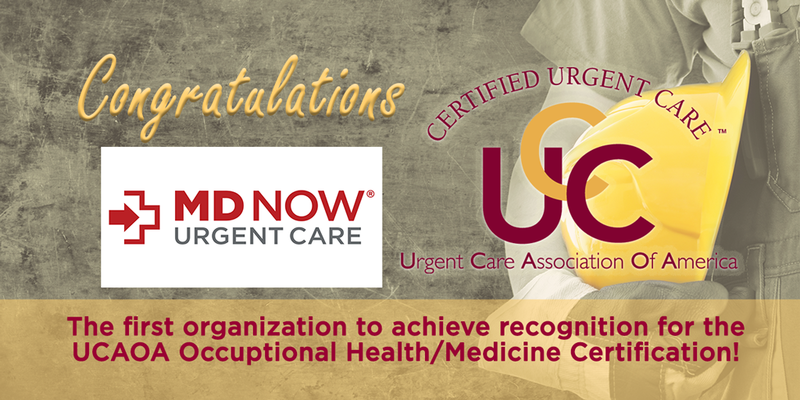 UCAOA is excited to announce that MD Now Urgent Care in West Palm Beach, Florida is the first organization to achieve recognition for the Occupational Health/Medicine Certification from UCAOA. The Occupational Health/Medicine Certification is an addition to UCAOA’s traditional certification designation. This accomplishment allows centers to be recognized for their commitment to meet the scope of minimal expectations to define a qualified urgent care facility. The Occ-Med add on tells the public and payers that the urgent care center’s scope of practice is consistent with a set of UCAOA criteria. One part of the criteria for certification is demonstrating and defining easy access and services that allow for care of a broad spectrum of work-related and non work-related illness and injuries for all individuals. Courtesy of the Urgent Care Association of America. Original article can be found here.